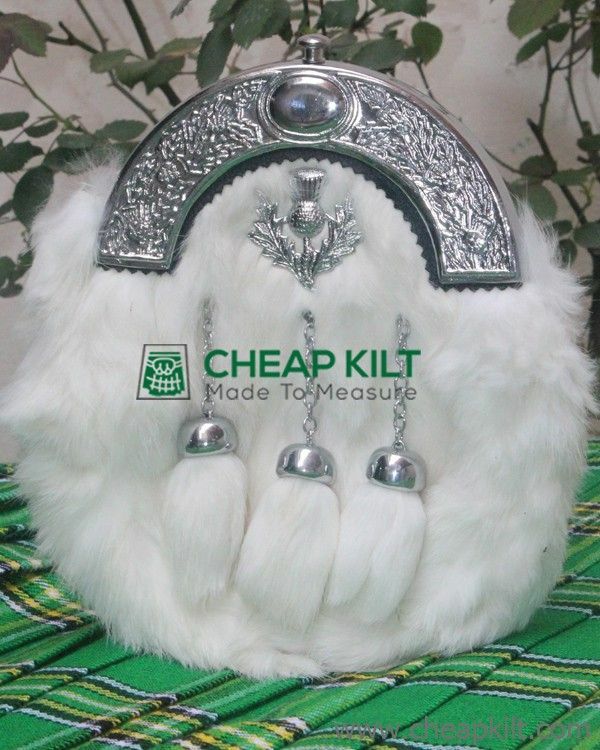 This is a white rabbit fur full dress sporran made of 100% genuine leather featuring chrome cantle and three white rabbit tassels. Fully functional, this rabbit fur sporran stands apart from the crowd. When worn, a kilt sporran is sure to make you look dashing on any formal occasion.